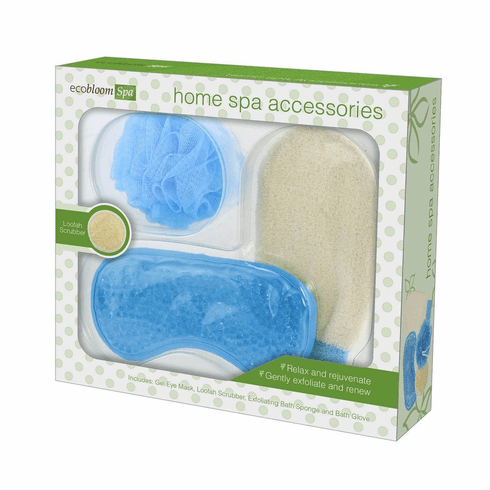 Relax and rejuvenate at home with this home spa accessories set. 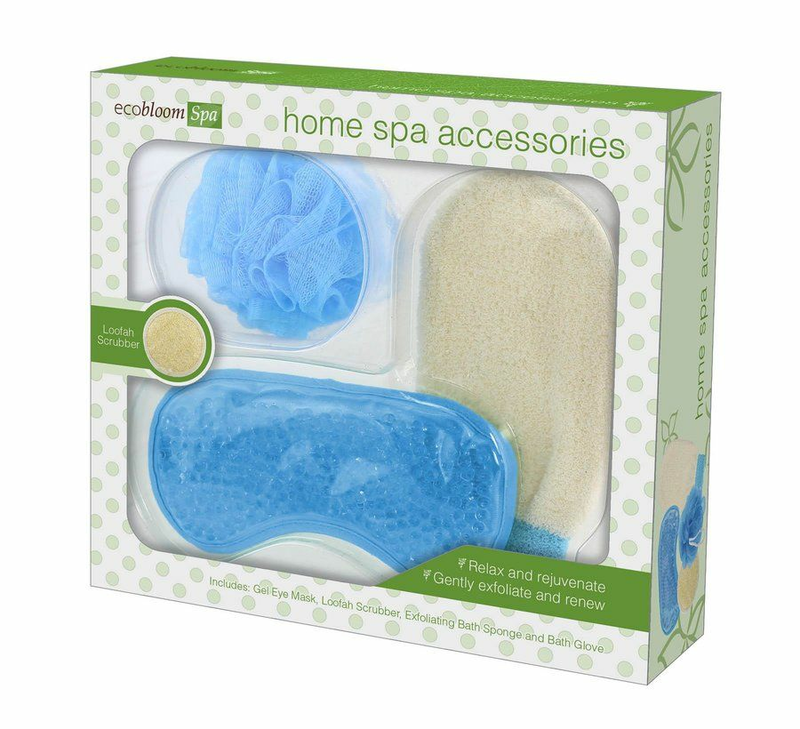 This 4 piece set includes a bath glove (8.7" long), gel eye mask (8.5" wide), loofah scrubber (4" diameter) and exfoliating bath sponge (4" diameter). 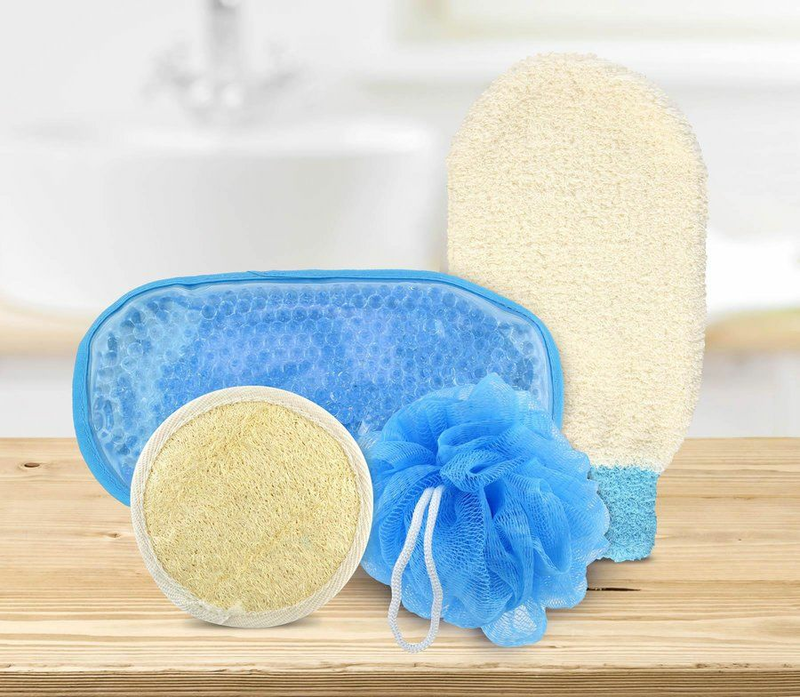 All to help you gently exfoliate and renew. Weight	0.8 pounds. 12.5" x 3" x 11.2". Plastic, Fabric. UPC Number: 841437122947.